The inaugural Leimert Park Village Book Fair was organized by a Planning Committee of over 30 persons including representatives from local schools, corporate/businesses, libraries, literary non-profit organizations, community organizations, and local authors, poets, and spoken word performers. Numerous stages including a Main Stage, Children’s Village/Reading Corner, Poet’s Stage, Cook’s Pavilion, and Health and Wellness Stage. Interactive activities, storytelling, book give-a-ways, hands-on-projects for children with Superhero/ Comic Pavilion. Writing workshops, panel discussions, film screenings, theatre performances, storytelling, readings, author meet & greets, spoken word performances/poetry recitals, and live music. Sponsor displays and special activities, including product sampling & prizes. The Leimert Park Village Book Fair, Inc. is a non-profit 501 (c) 3 organization. For more information, write to Leimert Park Village Book Fair, Inc., 4001 West 22nd Place, Los Angeles, California, 90018. ​Cynthia E. Exum is also Author of the book "Images of America: Leimert Park" which chronicles the historical development of the Leimert Park area. 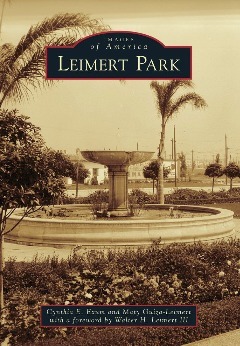 To read more information on the Leimert Park area as chronicled in this pictorial publication, please click here. The book is also co-Authored with Maty Guiza-Leimert with a forward by Walter H. Leimert, III, grandson of the community's founder.